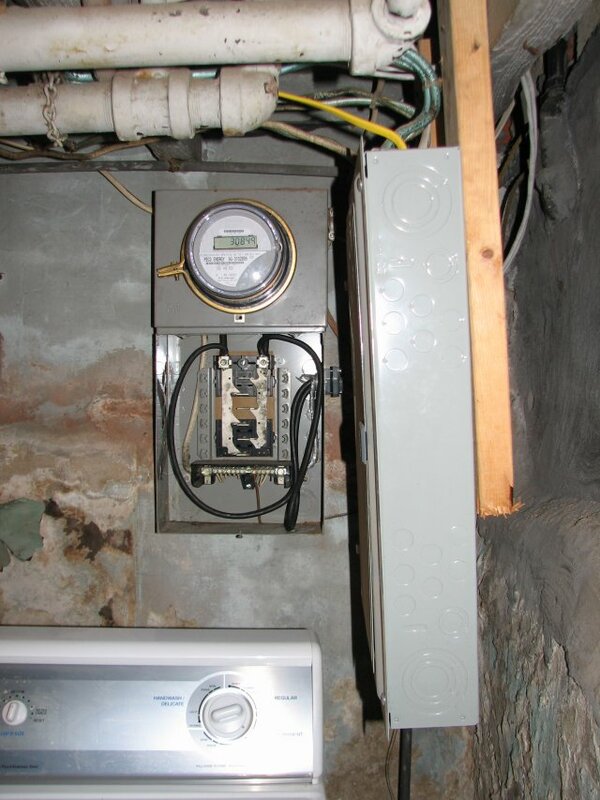 Register Log In ECN Forum Forums Violation Photo Forum Why put a new meter socket? 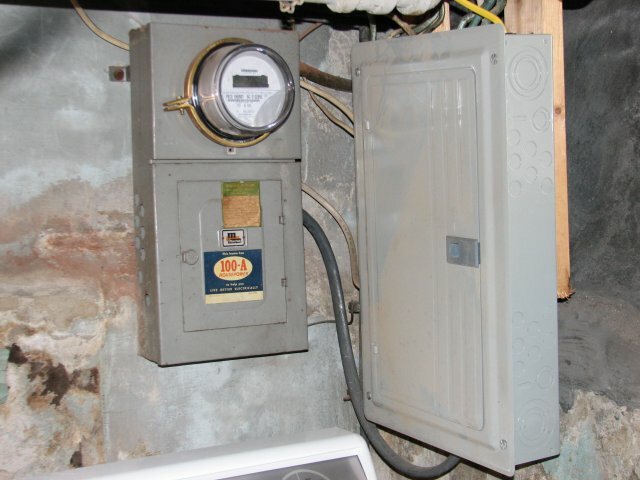 Why put a new meter socket, there is one there already! I see 2 problems here: 1) double lugged on main. 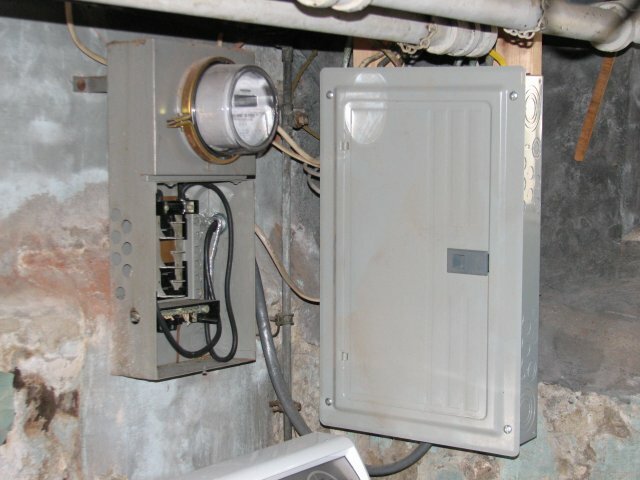 2) If that new subpanel does not have a main breaker - I am sure they are over their 6 throw limit. Nice try - no cigar. It looks like the meter/panel unit could be set up to easily go over the six throw limit as well - no main in this panel. 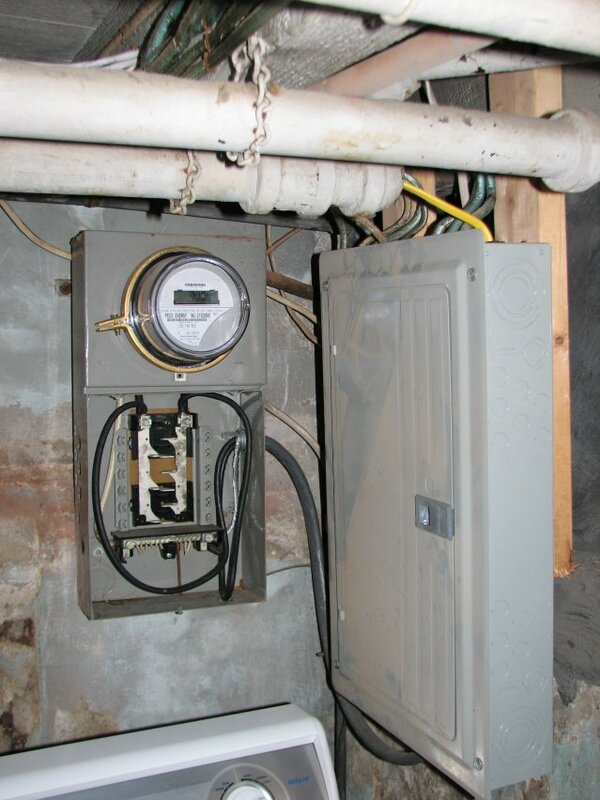 Plus, I'm wondering what is the ampacity rating of the main supply cable to the meter. Looks like it might be quite a stretch to supply that large panel. The workspace violation created by the presence of the washing machine/dryer is another problem, along with the fact that there is not much physically supporting the large panel. In all, the close co-existence of electrical and plumbing makes me very nervous. It seems odd that there would be 12 spaces in the panel with the metering, yet it comes to a set of main lugs, and not a main breaker.